Moscatelli MC, Romagnoli M, Cenfi S, Lagomarsino A, Di Tizio A, Spina S, Grego S (2009). Wood-soil interactions in soil bioengineering slope stabilization works. iForest 2: 187-191. In this work we propose the use of soil quality indicators with the aim of assessing the environmental impact of soil bioengineering works. This study was carried out in central Italy where soil bioengineering slope stabilization works were established using chestnut wood. In particular the goal of this study was to determine the occurrence of a wood-effect, that is changes of soil properties due to the presence of decomposing logs in two sites characterized by different time span since works setting up. The presence of the logs did not affect soil physico-chemical properties. Conversely, soil biochemical properties such as soil microbial biomass, basal and cumulative respiration activities as well as microbial indexes, were influenced by the presence of the logs confirming the role of these bioindicators as early predictors of changes occurring in soil. Although a general positive trend was observed for the biochemical properties at both sites with respect to the control soils, significant differences were recorded mainly at the site where works were established six years before soil sampling. Soil bioengineering slope stabilization works establish a positive feed-back which ultimately can benefit plants; in fact the increase in microbial mineralization activity can enhance nutrient cycling and thus promote adequate growth conditions for the plant cuttings used in the wooden-work. Microbial eco-physiological indicators to assess soil quality. Agriculture. Ecosystems and Environment 98: 285-293. Ratios of microbial biomass carbon to total organic-C in arable soils. Soil Biology and Biochemistry 21: 471-479. Effect of liming on some chemical, biochemical and microbiological properties of acid soil under spruce (Picea abies L.). Biology and Fertility of Soil 14: 76-83. The use of microbial parameters in monitoring soil pollution by heavy metals. Biology and Fertility of Soil 19: 269-279. Downed bole-wood decomposition in lodgepole pine forests of central Oregon. Soil Science Society of America Journal 581: 221-227. 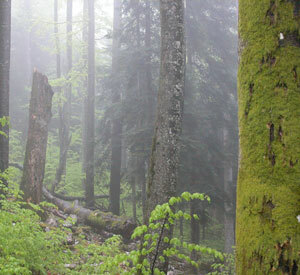 Whole tree harvesting in Sitka spruce: possible implications. Irish Forestry 37 (1): 48-63. Ratios between estimates of microbial biomass content and microbial activity in soils. Biology and Fertility of Soil 27: 374-379. Biotechnical and soil bioengineering slope stabilization: a practical guide for erosion control. A Wiley-Interscience Publication, New York, USA, pp. 378.
International approach to assessing soil quality by ecologically-related biological parameters. Agriculture, Ecosystems and Environment 88: 169-174. Tree death as an ecological process. BioScience 37: 550-556. Different approaches to evaluating soil quality using biochemical properties. Soil Biology and Biochemistry 37: 877-887. Biotechnical and soil bioengineering slope stabilization: a practical guide for erosion control. Wiley, New York, USA. Leaching of dissolved organic carbon, dissolved organic nitrogen, and other solutes from coarse woody debris and bitter in a mixed forest in New York State. Biogeochemistry 74: 257-282. Water balance of conifer logs in early stages of decomposition. Plant and Soil 172: 141-52. Abundance and activity of N2-Fixing bacteria in decaying wood. Canadian Journal of Forest Research 21: 1299-1304. Coarse woody debris ameliorates chemical and biotic soil parameters of acidified broad-leaved forests. Applied Soil Ecology 36: 190-198. Effects of decaying wood on evaluation, podzolization, acidification, and nutrition in soils with different moisture regimes. Environmental Monitoring and Assessment 39: 485-492. Influence of decaying wood on chemical properties of forest floors and surface mineral soils: a pilot study. Annales de Sciencia Forestier 52: 523-533. Influence of coarse woody debris on soil organic substance in a lodgepole pine forest. Agronomy Abstracts 91: 306-308. Assessment of soil nitrogen and phosphorous availability under elevated CO2 and N-fertilization in a short rotation poplar plantation. Plant and Soil 1-2: 131-147. Biotechnical engineering as an alternative to traditional engineering methods: a biotechnical streambank stabilization design approach. Landscape Urban Plan 60: 225-242. Short- and medium-term contrasting effects of nitrogen fertilization on C and N cycling in a poplar plantation soil. Forest Ecology and Management 255: 447-454. Ecological significance of biological activity in soil. In: “Soil biochemistry”, vol. 6 (Bollag JM, Stotzky G eds). Marcel Dekker, New York, USA, pp. 293-355. Granulometria. Metodi di analisi fisica del suolo. Parte III. Ed. Ministero dell’Agricoltura e Foreste. Ultrastructural observations of microbial succession and decay of wood buried at a Bronze Age archaeological site. International Biodeterioration & Biodegradation 47: 165-173. Carbon mineralization kinetics as influenced by soil properties. Biology and Fertility of Soil 22: 293-298. Manuale di ingnegneria naturalistica. Applicabile al settore idraulico. Assessorato all’ambiente, Dipartimento ambiente e protezione civile, Regione Lazio, Roma. Manuale di ingegneria naturalistica-sistemazione dei versanti. Vol. III. Assessorato all’ambiente, Dipartimento ambiente e protezione civile, Regione Lazio, Roma. A comparison of soil quality in adjacent cultivated, forest and native grassland soils. Plant and Soil 233: 251-259. Soil microbial biomass, activity and nutrient cycling as indicators of soil health. In: “Biological indicators of soil health” (Pankhurst CE, Doube BM, Gupta VVSR eds). CAB International, Wallingford, pp. 97-119. The influence of decomposing logs on soil biology and nutrient cycling in an old-growth mixed coniferous forest in Oregon, USA. Canadian Journal of Forest Research 33: 2193-2201. Humus chemistry - genesis, composition and reactions. John Wiley and Sons. USA. A biologically based indicator of soil quality. Biology and Fertility of Soils 21: 245-251. Chemical composition of interstitial water in decaying lodgepole pine bole wood. Canadian Journal of Forest Research 15: 1149-1153. Soil organic matter dynamics under wood in a subtropical wet forest: effect of tree species and decay stage. Plant and Soil 296: 173-185. Soil biota, nutrients, and organic matter dynamics under decomposing wood. PhD thesis, Department of Biology, Faculty of natural sciences, University of Puerto Rico. Rio Pedras Compres, pp. 136.